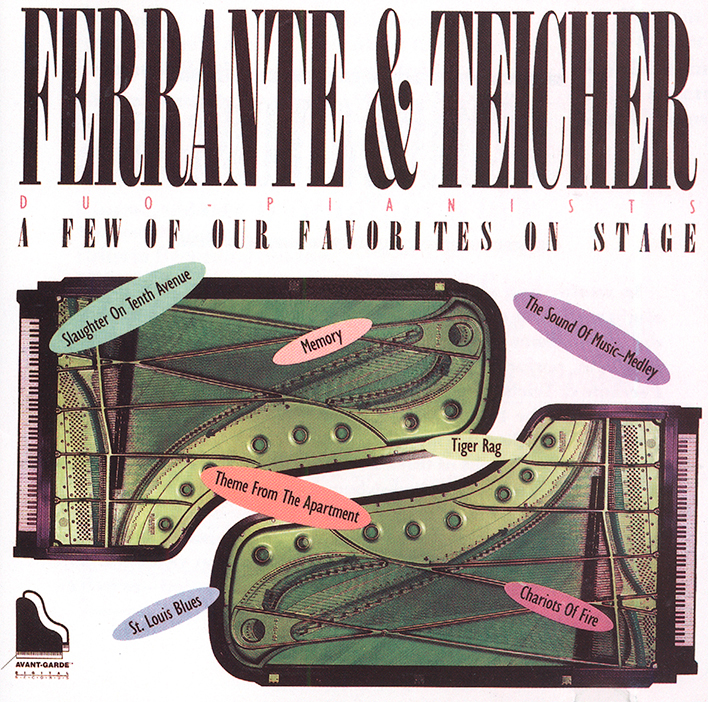 In reminiscing about the evolution of Ferrante & Teicher, one might recall that three decades ago they were one of nearly a dozen duo-piano teams on the concert circuit. Circa 1950’s duo-pianists, as a rule, performed the works of the classical masters. Indeed, Ferrante & Teicher were no exception. Their talent, skill, and sheer precision at the twin pianos became recognized and would send concert hall audiences into a complete frenzy. It was at the height of this excitement that the fiery Ferrante & Teicher would return to the keyboards and dazzle the crowd with one of their pop encores. And it was from these encores that the grand style, which today characterizes “The Ferrante & Teicher Sound,” was born!! Their classical repertoire soon yielded to pop classics and popular music—their audience abounded—as well as their recordings. Recording labels such as Columbia, ABC and United Artists flourished during the 50’s, 60’s and 70’s with tens of millions of Ferrante & Teicher’s recordings of the twin pianos backed by their huge orchestra, and of prepared-pianos. Now, in 1985, Avant-Garde Records proudly presents Ferrante & Teicher’s “ON STAGE” series. This series showcases the duo-piano wizardry that has firmly established Ferrante & Teicher as the world’s foremost concert pianists, in popular tradition. This was the second project by Avant-Garde Records (AVG-1002).